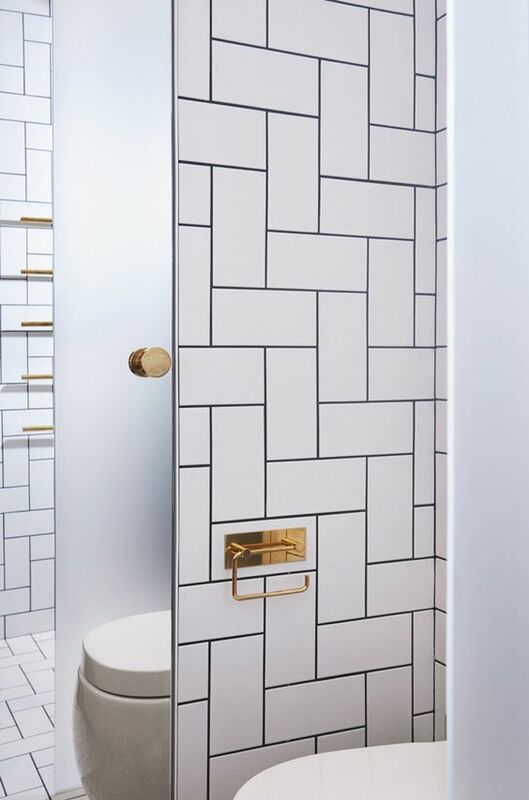 While chrome has been a standard for accessories in bathrooms for many years, gold has been making a strong return. Gold is a softer shade and adds a hint of luxury and warmth to the bathroom space. All the products featured this week are available from Bespoke Bathrooms – please get in touch for more information. From one of our favourite design houses –the Danish Vola – comes the T12BP toilet roll holder in a gold finish. It is also available with a back plate and with a longer arm to hold a guest towel. 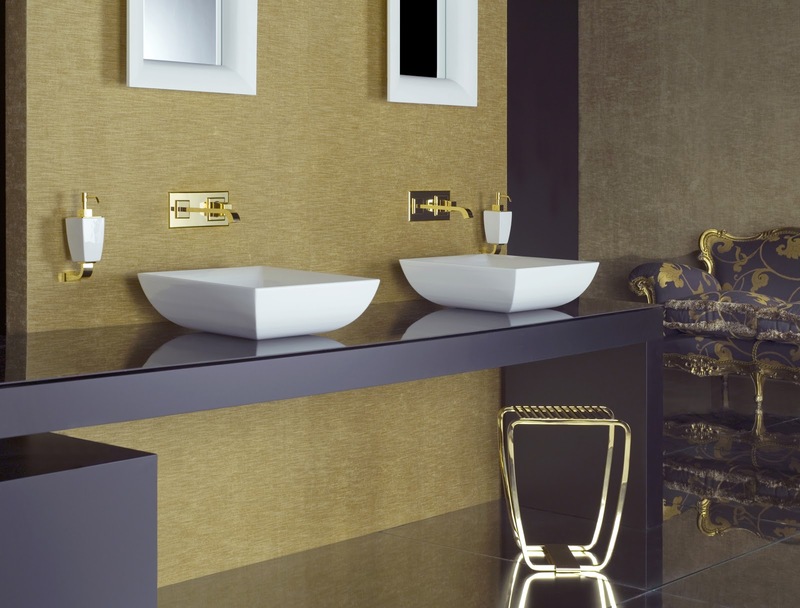 The Mimi range from Gessi in Italy is a soft feminine range available in a number of finishes, including this lustrous gold which adds glamour to a bathroom. 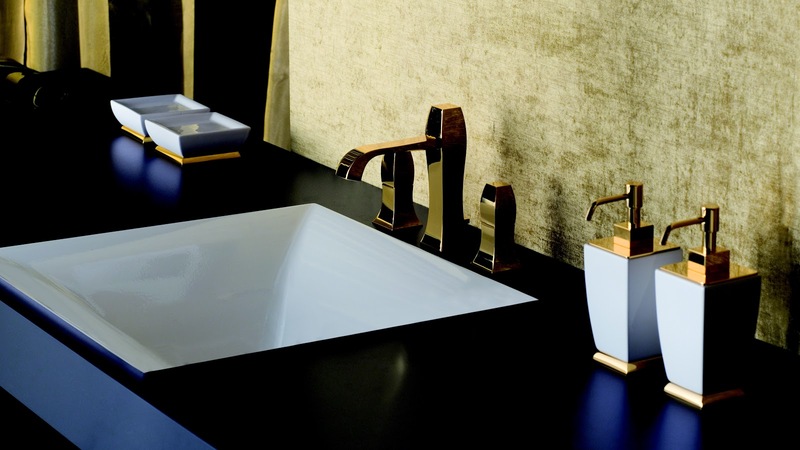 Images: Vola by Jordens Arkitekter, Sweden; Gessi Italy.